Posted on March 30, 2012 by admin Posted in Uncategorized	. 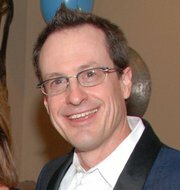 Meet Joe Koch…he likes Pinky! What is a good wine? That is a never ending, but universal question. Everyone asks “what’s a good wine?” And I always answer, what wine do you like? Because whatever wine that is, then that’s a good wine. It really does not matter what I say, or what the “wine experts” say. All that matters is if you like a wine, then to you, that’s a good wine. Harry & his Carlo Rossi! If you ask me what I like, I will tell you my favorite wines are bold cabs with a lot of tannins, or robust Zins with a lot of up front fruit. If you ask our neighbor Paul, he will tell you the name of some French wine, while John likes earthy wines that are true to their region. But to my friend Harry, its Carlo Rossi Cabernet. And I’ve sat many an afternoon on Harry’s porch having wonderful conversations while I drank a glass or two of his Carlo Rossi. The number one selling wines at a lot of Texas wineries are sweet wines. And if you look at the number one selling wine in the US, White Zinfandel, you would have to say that a lot of people must like it. To them, it’s a good wine. And that’s the point. What is a good wine is very subjective. I am not talking about how wine is rated by the people in the know, whoever they are. What I’m talking about is the wine you buy and drink, to you, that’s a good wine. 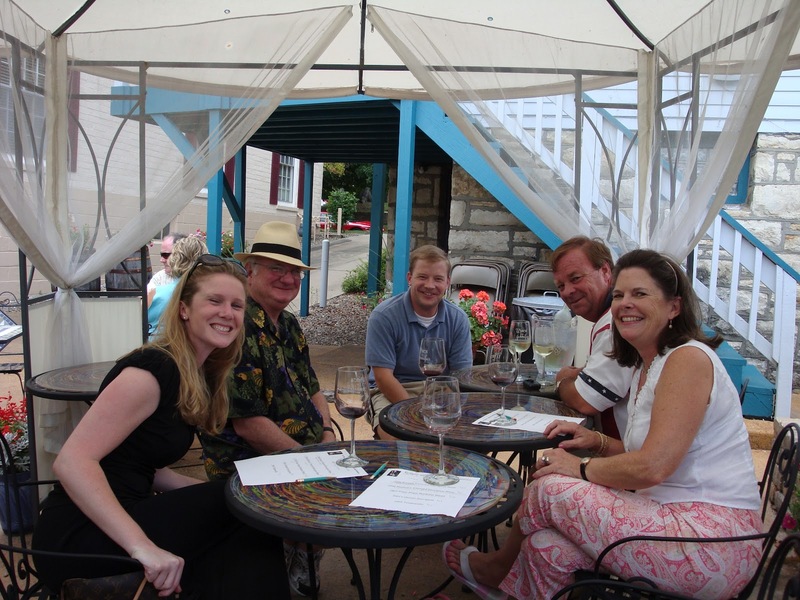 Everyone has their own tastes and going to wine tastings are a great way to find out what you like. 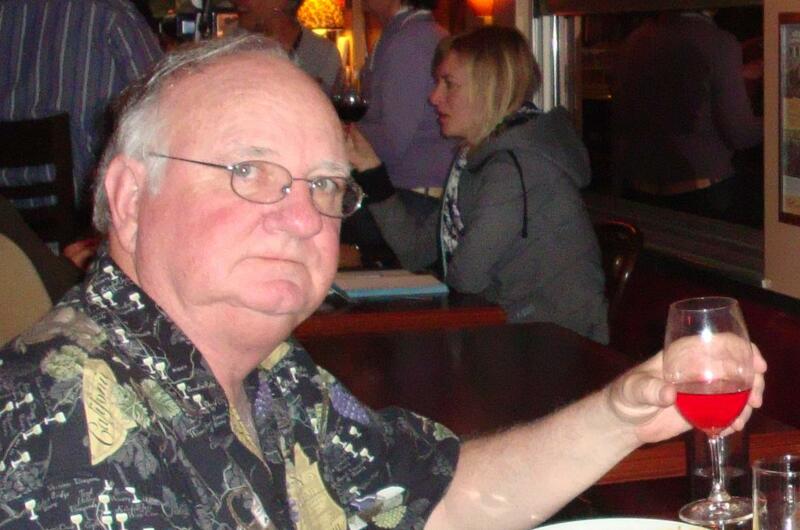 Which brings me to Joe Koch…he likes Pinky…you know, White Zinfandel. To Joe it’s a great wine. 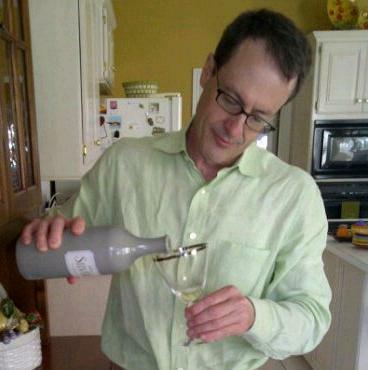 In fact he likes almost all blush wines, but White Zins are his favorite. 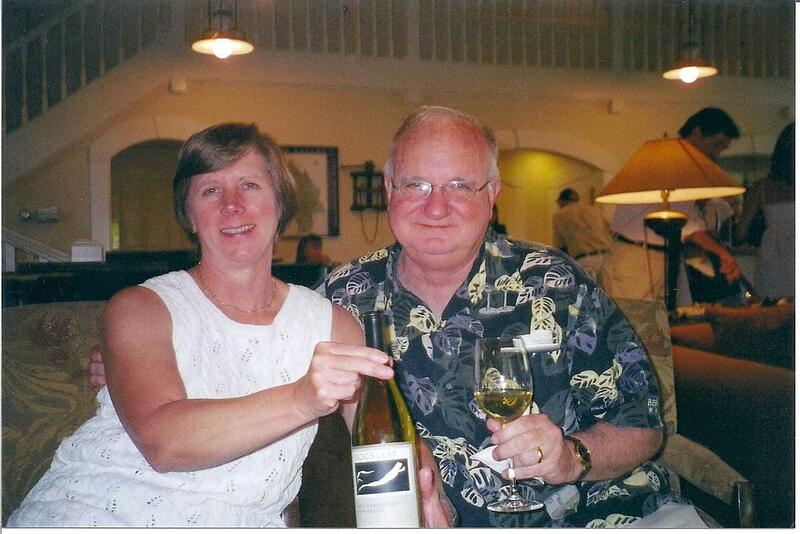 Now Joe is our designated driver on our wine trips and luckily white Zins are not at most of the wineries we visit. 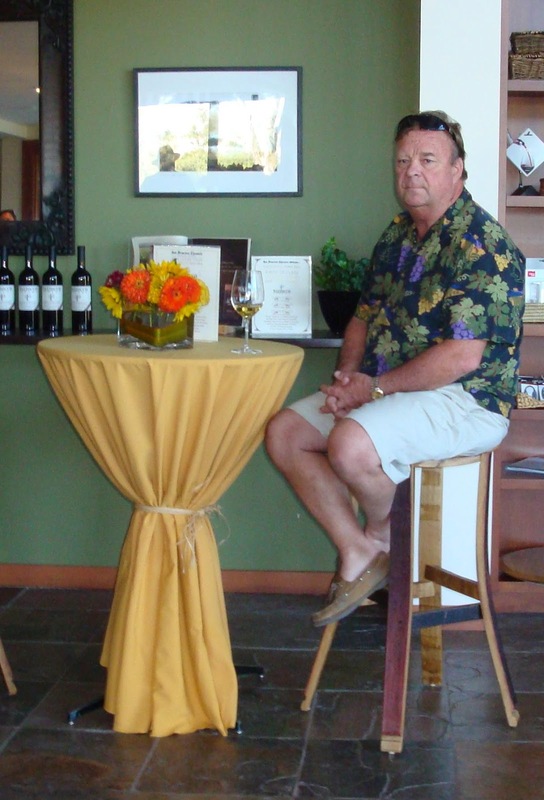 On one of our visits to a Napa winery, Joe was looking around their very dark wood paneled tasting room. One of the winery staff walked up to Joe and asked if he could help him. To this Joe replied, “you got any Pinky…you know white Zinfandel”. I promise Joe does not live in a trailer, but he did get a fairly rude response! So is white zinfandel a good wine? Well to me the answer would be a resounding NO! But if you like white zinfandel, the answer would be yes. And to a whole lot of wine drinkers, the answer is yes, and that is why white zinfandel was developed. You see the US wine industry faced major problems after prohibition. Only wineries making wines for religious purposes had remained open, and most wine grapes had to be replanted. But finally in 1976 the US wine industry beat the French in a blind tasting. And with that win, the US wine industry started to grow. But the growth was primarily with existing wine drinkers. 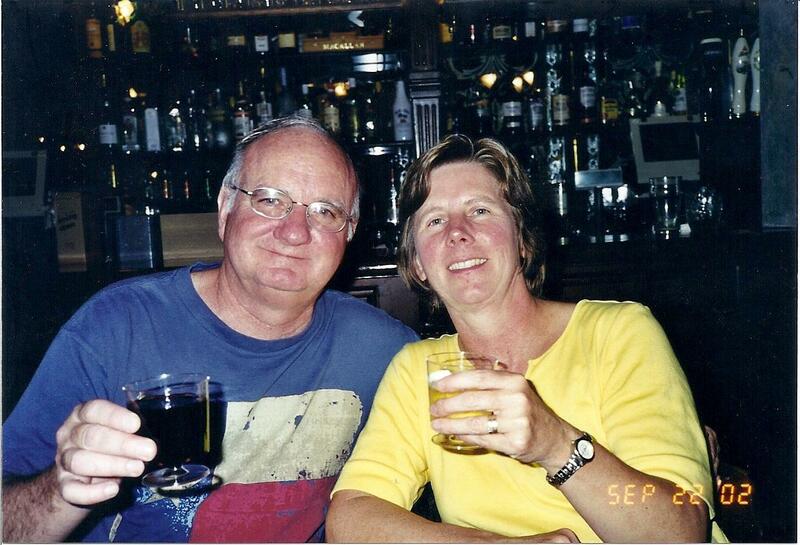 To get new ones, they had to get a US population that primarily drank beer and mixed drinks to try wine. Enter White Zins and all the other sweet wines. White Zinfandels and wines like Boone’s Farm, Annie Green Springs, Ripple and Cold Duck are all cheap and sweet gateway wines designed to get new drinkers, especially young women, to drink wine. The theory being if she wanted wine, her date would buy it! 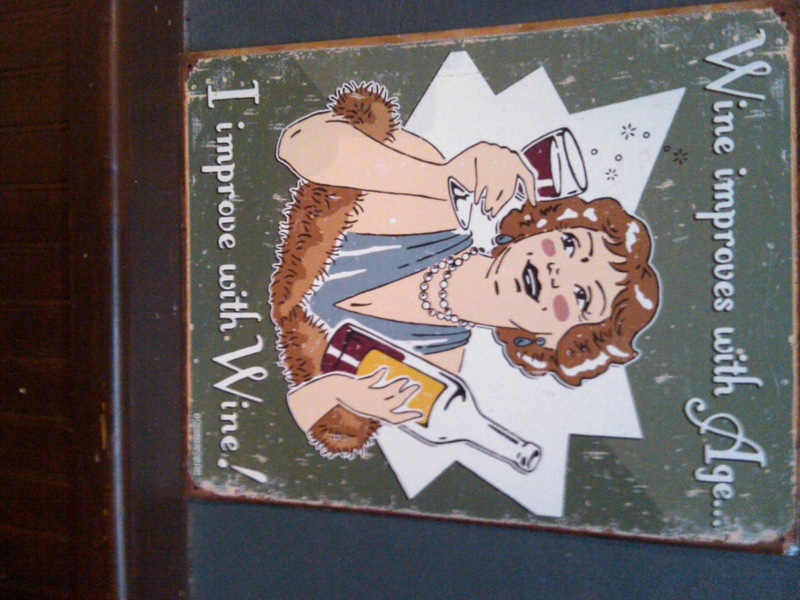 It worked and Americans now drink more wine than any other alcohol drink. I will never forget the line in the movie The Jerk, where Nathan tells his waiter he wants more wine, but bring him the new stuff not any of that old wine. And as I tell Joe, his White Zin has probably only aged a week. But much to my chagrin, Joe is doing what the wine industry hopes new wine drinkers will do, he is trying more wines. For now he’s only drinking white wines, but he has started the journey toward better wines. And who knows, someday he may even try some dry reds. Not everyone starts at sweet wines. My youngest son and our daughter started off liking bold reds. 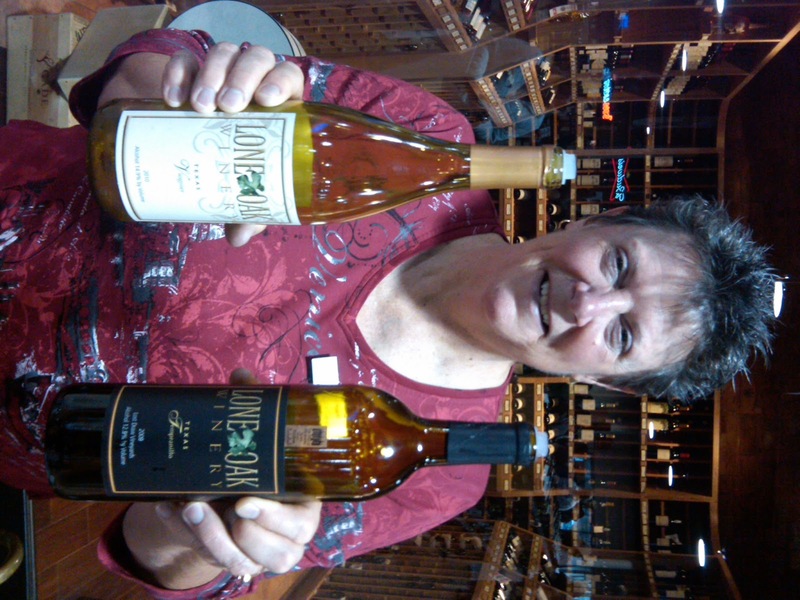 “Lucky me,” they like the wines in our wine cabinet, especially the expensive ones! But that’s also the point, different people like different types and styles of wine. So there is no answer to the question “what’s a good wine.” If you like it, drink it! And the next time you see someone drinking White Zinfandel, don’t be a wine snob, realize they may be starting their own journey toward a wonderful wine adventure! Posted on March 23, 2012 by admin Posted in Uncategorized	. Over the last several years Gale and I have made a point of trying Rosés. And we have come to really like them as a varietal. In fact, they may be one of the best wines to drink during our hot summer months. Rosé comes in all forms and is made from all types of red wine grapes. The reason why they are light colored is that the wine maker did not leave the skins in the juice very long, sometimes only for a few hours. The longer the skins are in the juice, the darker the wine. Rosés somewhat fall between white wines and red wines.They’re made with red wine grapes, but can be chilled like a white wine. In fact, they should be served at 50 to 55 degrees, which is why they are really great during our summers. Some “real” wine lovers will not drink Rosés. And that’s their loss! People seem to be confused about Rosés and think they are sweet, like their pink blush sisters, the notorious White Zins. So beware, if a wine says it’s a blush or a white zinfandel, you can rest assured it is sweet. However, true Rosés come in all styles and flavors. Winemakers are working hard to make Rosés that are very refined, elegant, semi-dry and dry. And as I said above, Rosés are made using all types of grapes, from Rhone varietals to Merlots, Cabernets and dare I say it…Zinfandels. 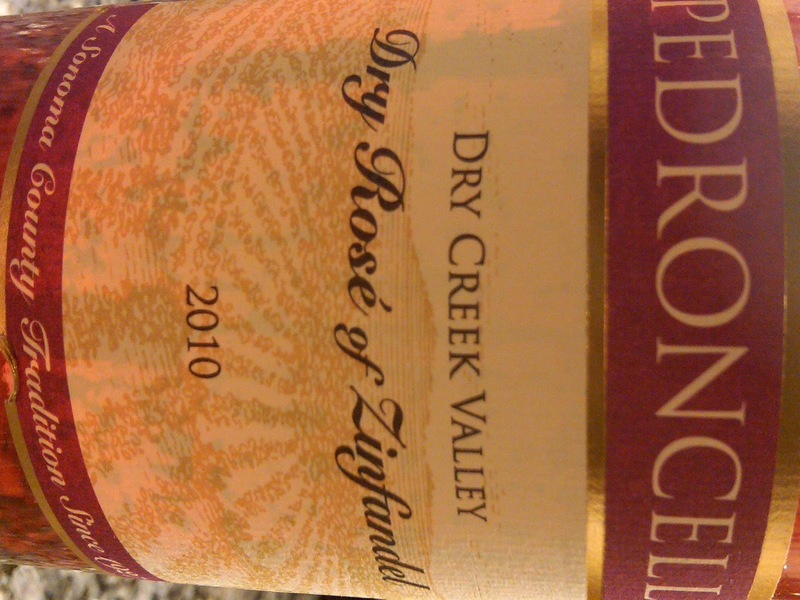 And increasingly, California winemakers are using Syrah grapes to make excellent Rosés that are among my favorites. And for you Pinot lovers, Rosé Champagnes made with the Pinot grape should fit nicely with your summer wine tastes. More and more champagnes and sparkling wines are being made as Rosés. These are not to be confused with Pink champagnes that are all too often sweet and only good for mixing with orange juice. Instead, Rosé Champagnes and sparkling wines are crisp with a delightful style and flavor that sets them apart. I have found that Rosé has become my favorite champagne and sparkling wine. The Italian winemakers do an excellent job with their Rosé sparkling wines. And Jimmy’s is a great place to find one of these nice wines. 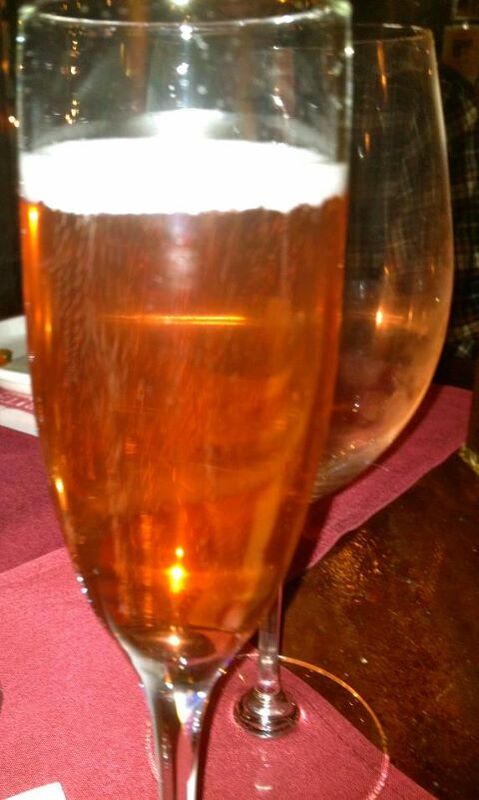 Several years ago Jimmy’s was closing out a Rosé sparkling wine for one of its Italian wine distributors. Seems the winery had given the wine a name that was too close to another wine’s and they had been ordered to stop selling it. It was a $20 plus wine closing out for $5.00. Gale and I tasted it and bought a case. We got home and sat outside grilling dinner and drinking our new discovery. We decided we really liked it, so I went back to Jimmy’s the next day and bought more cases. This turned out to be a great wine for drinking outdoors when it hot in Texas. And that’s when I realized how great Rosé’s could be and Gale and I have been drinking them ever since. For those of you confused about what wine goes with Thanksgiving, try a Rosé! Yes, try a Rosé that’s crisp, slightly acidic and fruity,and you may find that it is the perfect wine for your Turkey dinner. And it’s colorful…what more can you want! They go well with ham or pork, so also try them at Easter. At lunch when you’re having hamburgers, grilled cheese or other sandwiches. When a red wine seems too heavy. When you are on a picnic and its warm and sunny. Warm evenings when you’re sitting outside, especially if you are grilling. Drink them to celebrate the arrival of spring or summer. At our porch parties, especially in May and September. So take the time to try Rosé’s, I think you will find them refreshing and fun. And remember they are the other Red Wine! Posted on March 16, 2012 by admin Posted in Uncategorized	. The good thing about writing this Wine blog is that I can call on people I consider real experts, and our neighbor and good friend John Boerner is a wine expert. John has amazing good taste in wine and a really great palate. 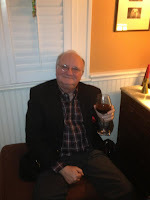 Luckily John has agreed to write about a different wine each month for our wine Blog. John will try to keep his “Wine of the Month” in a price range that can be easily purchased and enjoyed by everyone. Below is John’s first wine which I am sure you will enjoy. 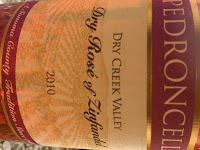 It also goes very well with next week’s Blog on Rosés, which are truly great wines for our Texas weather! I am really looking forward to John’s picks each month and I am sure you will also. PS: John is also a great grill master! Why not wine, it get’s you there slower…..
Our first course was a spicy street sausage, and true to form with some assistance from Brooks, one of Veritas’ co-owners, we went with a Riesling, though this selection (a Chateau D’Orschwihr Riesling Bollen Berg 2006) was from France, and was decidedly less sweet and drier than its German cousins. 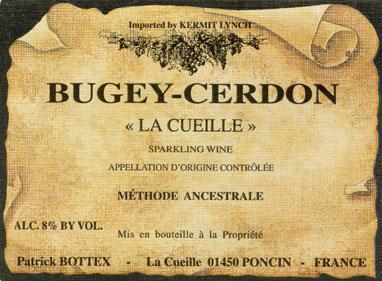 It was the second course, a salad featuring baby shrimp with tasty lime undertones that we discovered the Bugey-Cerdon. Brooks suggested this one, and it definitely was out of my comfort zone, but decided why not, and rolled with the pick. This wine is primarily a Gamay, though it also has a bit of a local grape, Poulsard. Our group immediately fell in love with this rose hued, lightly sweet sparkling wine. It balanced the acidity of our dish wonderfully. I returned to Veritas a few days later and added a few bottles to our wine rack. We have taken to drinking it generally by itself. It has a low alcohol content (8%), so it is easily consumed. To me it tastes like strawberry, with a raspberry undertone. A side note to this wine, it is not made méthode champenoise, but by what is thought to be by an earlier, more rare method, méthode ancestrale. We recently shared a bottle with Debbie and Kevin Rogers on our porch swing to celebrate Debbie’s birthday. The wine can be purchased at Veritas for $24.99. Posted on March 14, 2012 by admin Posted in Uncategorized	. It’s always great to have a hobby, especially when it is a fairly unique one. Which brings us to our good friend and neighbor Kevin Rogers. While in California, Kevin picked up an index box of wine grapes so he could learn more about the grapes that are used in wines. But Kevin decided to expand that knowledge a step higher and actually drink a wine that was made from each of the listed grapes. And Kevin wasn’t satisfied with blends; he wanted to try wines that were made entirely from a single grape. That might not sound difficult, but it is when you consider that a lot of wine grapes are primarily used to blend with other grapes. Well it took Kevin about two years to complete his search for wines and we are going to be the ones to benefit from his quest for knowledge. I have asked Kevin to write about the wines and their grapes for our blog, and below is Kevin’s first installment on what I think will be a fun adventure! I have enjoyed picking a grape and then going out to find a bottle of that varietal (that is not a blend), but 100% of my chosen variety, drinking it in pure form and training my taste for it. I did this for forty different Grape Varieties and it made a nice hobby for about two years. I don’t recommend everyone be so compulsive about their exploration, but I do guarantee that if you really focus on a particular grape of both the whites and the reds, you will become quite skillful in recognizing a wine grape by smell and taste, especially in contrast of one grape varietal next to another. Soon, you will see a grape variety posted front and center on a label, and you can know what that bottle tastes like (to a reasonable degree) before you open it. The fact is, you are probably already at that point with the most popular varieties such as Merlot or Chardonnay, but I want you to follow me through an exploration of some of the less common varieties which I will describe in contrast to those Noble varieties you know so well. All that to broaden your pallet, and improve your natural ability to discriminate between any two grape varietals. I am going to suggest a Noble grape and a less well known variety to drink side by side. To get this exercise kicked off, I will provide them both at the next Munger Porch Party and you can simply walk up and try both wines. This summer you will reach a new level of recognition skill that will make selecting a wine as simple as a reflex. Let’s start with two white wines; one you know well, Chardonnay, and one you hardly recall or remember having, Chenin Blanc. 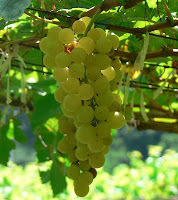 First, Chardonnay is the number one white wine world-wide and for good reason, it is the most amazing grape in its ability to please most people. It is on every restaurant menu and served at every party; it is simply the people’s choice everywhere. But it should not be the default wine you automatically go to without consideration of some other whites out there. Chenin Blanc is a great consideration, less popular and less diverse in its application; it is otherwise a good wine and should be one we know well, so let’s contrast these two. Again, I will provide you a glass of each at the next Munger Porch Party and discuss the merits of each. 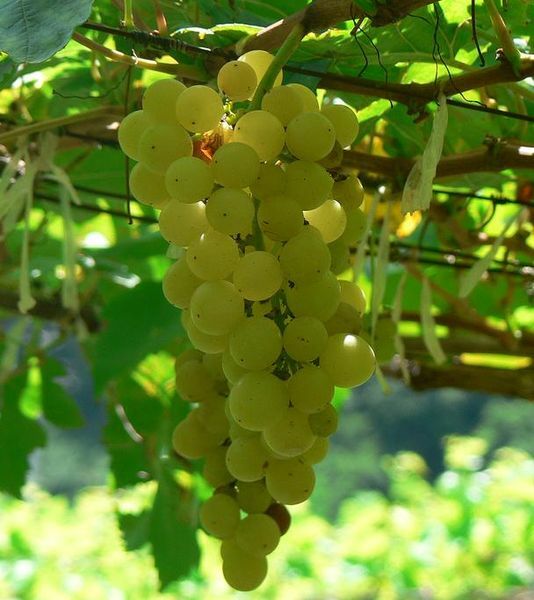 You know the CHARDONNAY GRAPE as a product of the best all-around wines; diverse in every way but famously bold, silky, and delightful with notes and aroma of fruit. Try it first and then drink a splash of pure CHENIN BLANC to experience a grape with similar but slightly sweet fruit and a quick clean finish. Chenin buds early in the growing season and matures late. Expect a slight acidic quality. You will love them both and you can pair them with many of the same foods. And Now Lets Taste the Wine! Posted on March 12, 2012 by admin Posted in Uncategorized	. Before You Hit The Texas Wine Trails! I am extremely excited that Texas has a growing wine industry. And Texas wines are getting much better. However I have some real problems with many of its wines and wineries. As everyone who lives here knows, during the summer, most of Texas has very hot days and hot nights. But most grapes like hot days and cool nights. That’s why California is perfect for grapes. Hot days and cool nights equals great wine grapes. Texas needs to grow grapes that like hot weather. That means grapes that grow well in places like Southern Italy and Spain. But Texas wine makers have been afraid to grow grapes that are not well known to American wine drinkers. So they have grown Cabs and Merlots and other grapes that do not do well in our heat. The result, Texas wines are light and often sweet. But lately, especially around Austin, the wineries have been using Tempranillo grapes. It’s a Spanish grape that does well in our heat and the results are very promising. 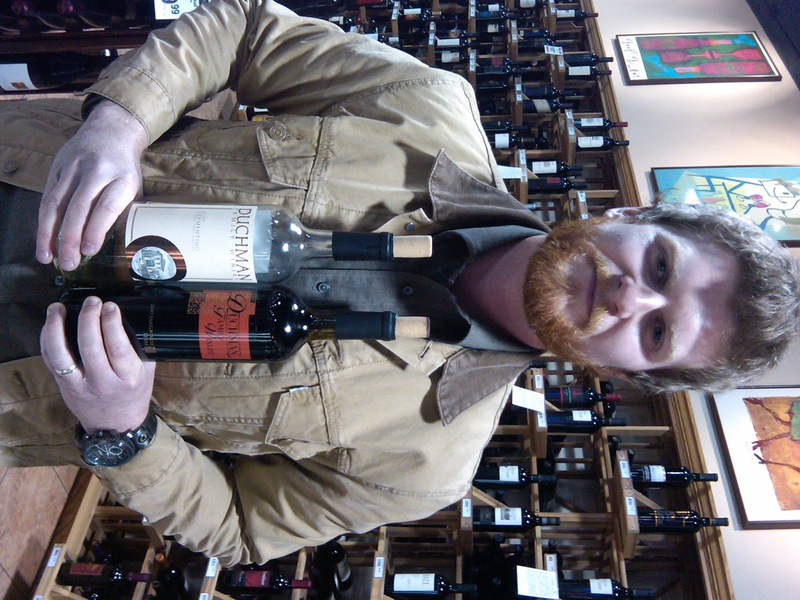 In Dallas, the Inwood Estate Winery uses Tempranillo. Their wines are pricey, around $45.00 but very nice. And Whole Foods carries Inwood’s wines. 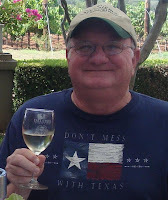 Gale and I have visited over half of the wineries in Texas. Unlike the California wineries, they tend to be spread out and driving to them can be a pain. However, Fredericksburg is a great trip and there are a lot of wineries in the Hill Country. 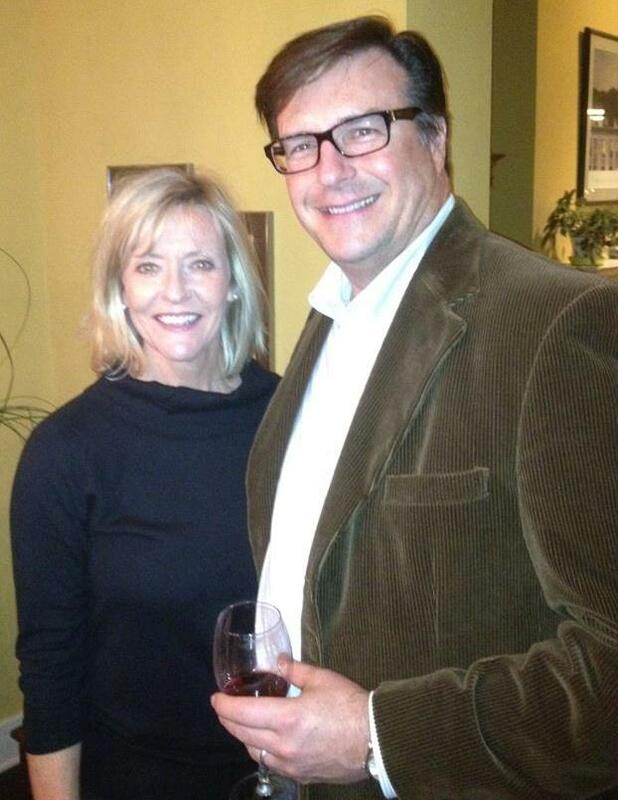 North Texas also has wineries with Grapevine being the epicenter. Grapevine’s GrapeFest is fun. It’s held each September and if you haven’t gone, you’ve missed a great event. However I recommend you consider staying close to the festival. Almost all the hotels have shuttle services, which is better than driving home after a day of tasting wine. Dallas has four wineries, and they have a wine tour. 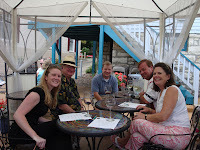 The Dallas Wine Trail will have its 3rd annual Spring Grand Tour on Saturday April 14th. The wineries involved are the Fuqua Winery, Inwood Estate Winery, Calais Winery and the Times Ten Winery. Times Ten and Calais are close to Munger Place. Times Ten is in Lakewood and Calais is in Deep Ellum. 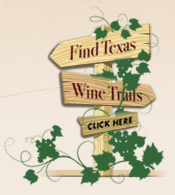 Texas wine trails have activities throughout the year. Gale and I have done the Way Out Wineries tour and it is great fun. There are wineries all over the state and in each region. So take the time to visit them and experience Texas wines up close. But before you go, take time to read my condensed Texas Wine Rules, they will help you have a much better trip! • Texas Wine Rule # 1. Here is my first and most important rule for Texas wines. 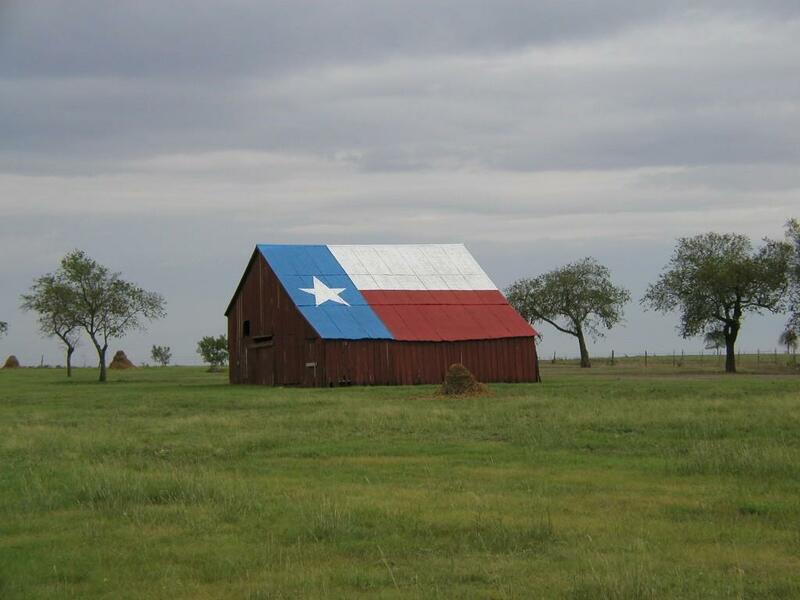 If the grape is not grown in Texas, the wine is not a Texas wine, even if it is made in Texas!! An example would be using a California grape for a wine made in Texas. It is a California wine that just happens to be made in Texas! There are no exceptions to this rule!! • Texas Wine Rule # 2. If a Texas winery is “tasting” red wine and gives you a sweet Texas Cab or Merlot and tells you it’s their best seller…BEWARE! All that says is that no one who knows wine ever buys any of their wine. Because no one who knows wine would buy a sweet Cab or Merlot!! • Texas Wine Rule #3. Texas wine is expensive for the quality of the wine. There are good $10 Texas wines that unfortunately cost $20 or $25. And some good $20 wines that cost $40 or $45. They are good wines at $20, but not at $45. Texas wineries are small and have no cost advantages buying grapes, bottles, corks and labels. Until this problem is solved, you will pay a premium for the privilege of drinking Texas wine. • Texas Wine Rule #4. There will be a fee to taste wine in a Texas winery. 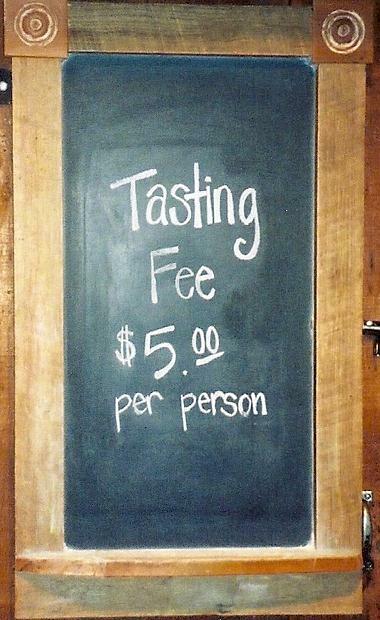 In most Texas wineries the fee will be $5.00 per person. 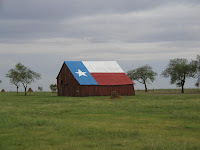 And unlike most California wineries, the Texas wineries usually do not wave the tasting fee if you buy a bottle of wine. So if you buy a $20 bottle of wine, you are spending at least $25 at the winery. This is only offset if the winery pours enough wine in the tasting to equal a glass of wine. • Texas Wine Rule #5. The wine you taste at a winery often won’t taste as good at home as it did at the winery. (This also applies to wine bought at any winery). The atmosphere at the wineries makes the wine better, and someone is telling you about the wine and how great it tastes. Be careful and think about why you really like the wine so you will not be disappointed. • Texas Wine Rule #6. Never pay any attention to the medals and awards hanging in a Texas winery. Every winery seems to have won at some wine event somewhere. What does a 1st, 2nd and 3rd place ribbon really mean? Not much! 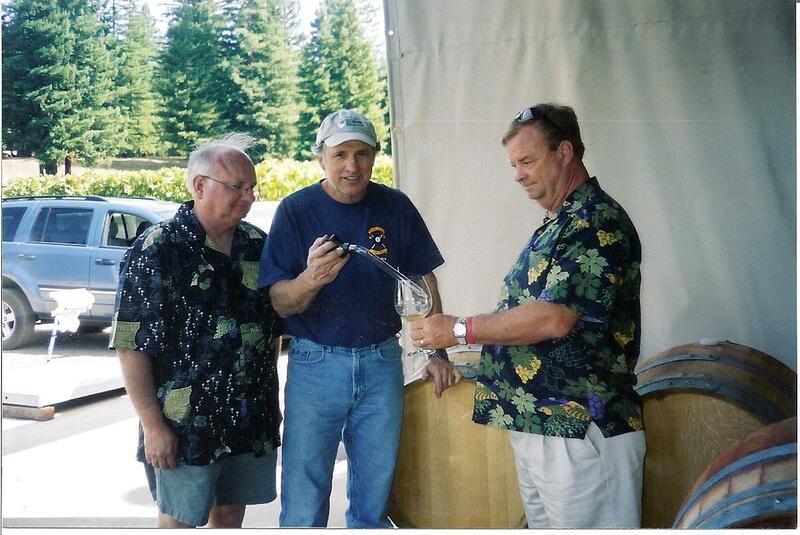 A first place win at the (fill in the blank) wine competition does not mean it’s good. How many wines were entered? And who were the judges? People Choice Awards are the worst. A bunch of drunks, who may or may not know wine, picked the wine with the best sales pitch. So ignore the ribbons and only buy the wine if you like it! So those are some of my Texas wine rules, ignore them at your peril! 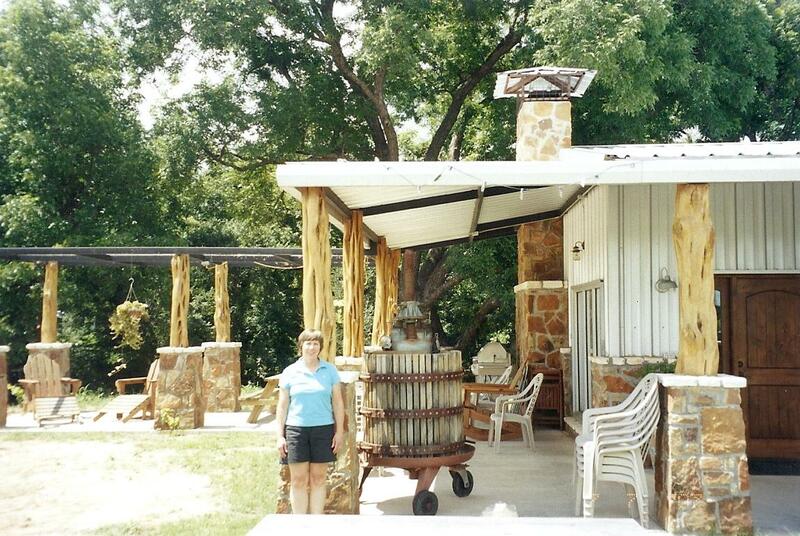 But do take the time to visit a Texas winery; they are growing and their wines are getting much better. 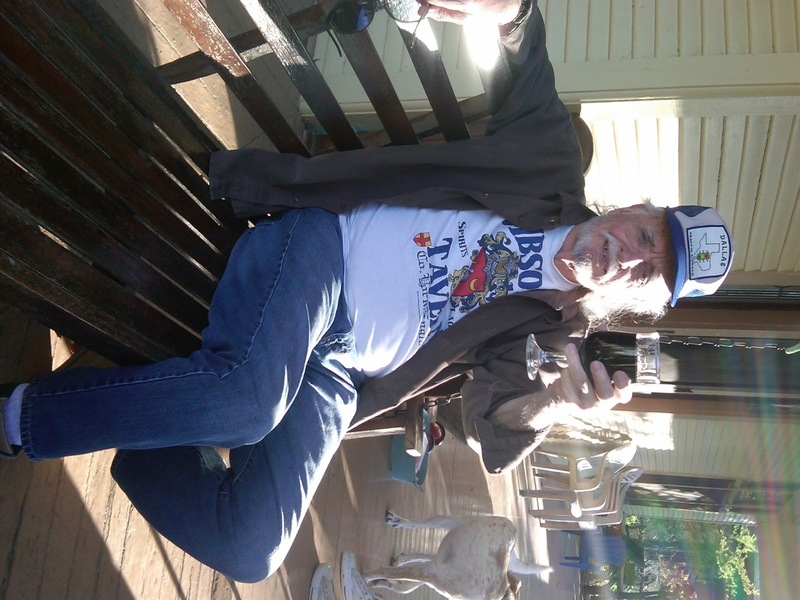 You’ll have fun, and with your support, Texas’ wines will continue to improve. A Couple of Texas Wineries You Should Follow! 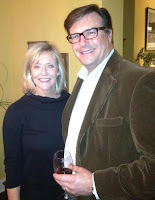 Gale and I went to the Sigel’s Texas Tasting and had a great time. I did not realize how many great vodkas, whiskeys, tequilas and rums are being made Texas. We won’t even get into how many beers and Ales are brewed in Texas. Needless to say you really never need to leave our great state to find some wonderful brews and spirits. Now for the real purpose of our adventure out in the rain…Texas Wines. There were four wineries represented and two deserve comment. The Lone Oak Winery in Burleson had both Tempranillo and Viognier wines available to taste and both were quite nice. Tempranillo is the Spanish grape that I think all Texas wineries should consider. They do well in Texas and make excellent wines that are bold, full bodied red wines with flavors of berries, plums, herbs and vanilla. Tempranillos are ruby red wines that also have the flavors of tobacco and leather which are always interesting in wines. These wines are very food friendly and go especially well with grilled pork. And Lone Oaks Tempranillo was well worth our time! Lone Oak’s Viognier was also very nice. This is increasingly becoming my Texas white wine of choice. 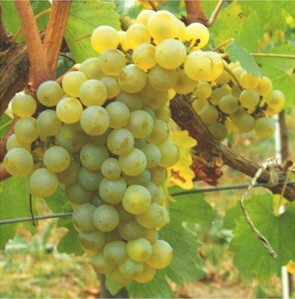 Viognier is a French grape that can produce complex wines, noted for its floral flavors with spice and citrus. They are also known for their fruit forward flavors of apricot, peach and apple. Because they are highly aromatic and fruit forward they go well with spicy food…hello Texas! 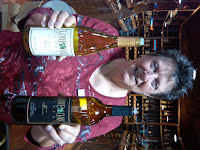 Duchman Family Winery in Driftwood also had two very noteworthy wines. The Duchman Winery uses 100% Texas grown grapes and their Sangiovese was very nice. The Duchman also makes all of their wines in the Italian style, and Sangiovese is an Italian grape that appears to be adapting very well in Texas. Sangiovese wines are red wines that tend to have light color with high acidity. They can have moderate to high tannins, and because of their high acidity they pair well with food, especially Tuscan style meals. And I personally like them with almost anything grilled! The other Duchman wine was a Vermentino, which is an Italian white wine grape that makes dry, light and crisp wines that are herbal, with citrus leaf, basil and pine nut aromas. They are rich medium body wines that have a tinge of pale straw color, often with pronounced minerals and flavors of green apples and lime. They go well with seafood, oysters, calamari, white fish and grilled vegetables. However, I also felt the Duchman Vermentino would go well as a standalone wine to have with friends. Unfortunately at tastings like the one Sigel’s had Saturday you really do not get enough of any wine to determine its complexity and how it would really taste as a glass of wine or with food. However I did get enough to know that these two wineries are worth watching to see where they go with their wines. And if I am ever in the Burleson or Driftwood area, you can rest assured I will visit the wineries for a more in-depth taste! Posted on March 2, 2012 by admin Posted in Uncategorized	. I drink wine…I don’t write about it! I’m not a wine expert so why am I writing this Blog? Well it’s all Beth’s fault! Yes, the President of our association must have had a bad day, because she asked me to write a wine blog! Boy do I have her fooled. However my first reaction was, I drink wine…I don’t write about it. More important, I’m not a wine expert. Wine is something Gale and I enjoy, it’s an adventure we can take together. But after I thought about writing a blog, I decided maybe not being a wine expert is ok. I can write about wine and not be caught up in the really boring fine points of wine. And if you have ever watched Sideways, you know what I mean. And yes thank you, I will drink Merlot. Gale and I are the “old” couple that walks our dogs while drinking wine. In a wine glass no less. And the Munger Place wine events are often at our house, because we love wine and love experiencing wine with our friends. 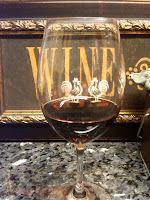 Our wine glasses come from the wineries we have visited. When drinking wine at our house, we ask you to pick a glass from the winery that fits your personality. 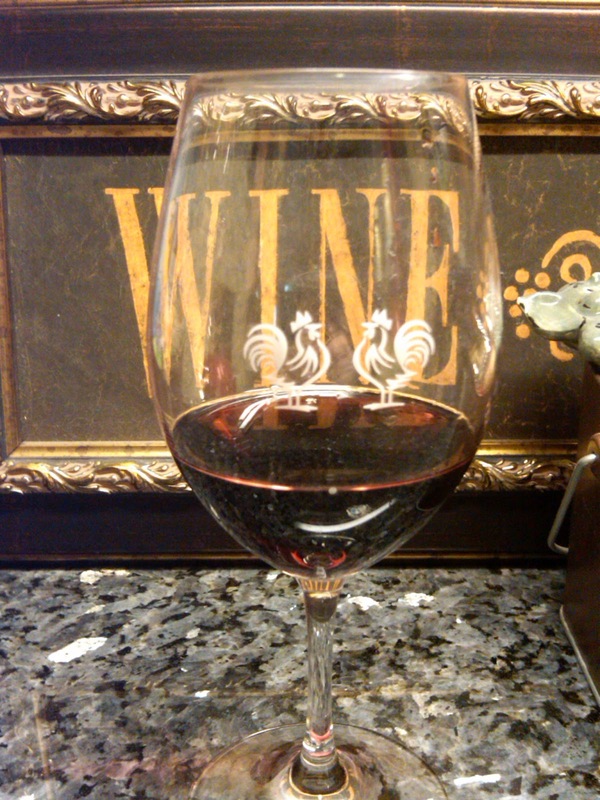 Our nephew’s wife always picks the one with chickens on it from Gallo of Sonoma. We’re not sure why she does that. Our son always picks the glass with the wolf on it because we had a Husky dog. Wine has become somewhat of a hobby. 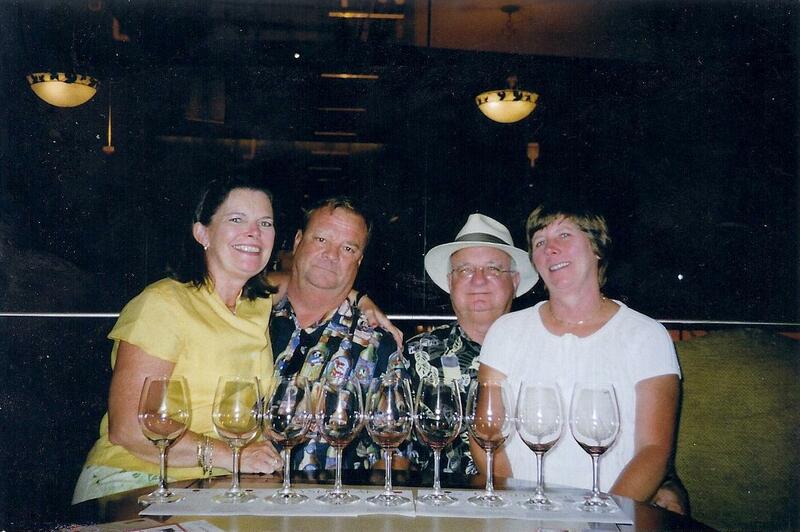 Each year for the last 10 years, Gale and I with Gale’s sister and her husband (he’s our designated driver) go to the California wine country, where we taste wine, a lot of wine, and where we buy wine. It’s great fun and a great adventure, especially when you start tasting wine at 9:30 in the morning and you stop when the last winery closes at 5:30. Which is why we need a designated driver. I also have to admit you need to be very careful about the wine you buy late in the afternoon. Sometimes when you get home it’s not as good as you remembered after a day of wine tasting. And it can be very bad! So we have a rule…no matter what, we eat lunch, which unfortunately cuts into our tasting time! Tasting Wine From the Barrel! 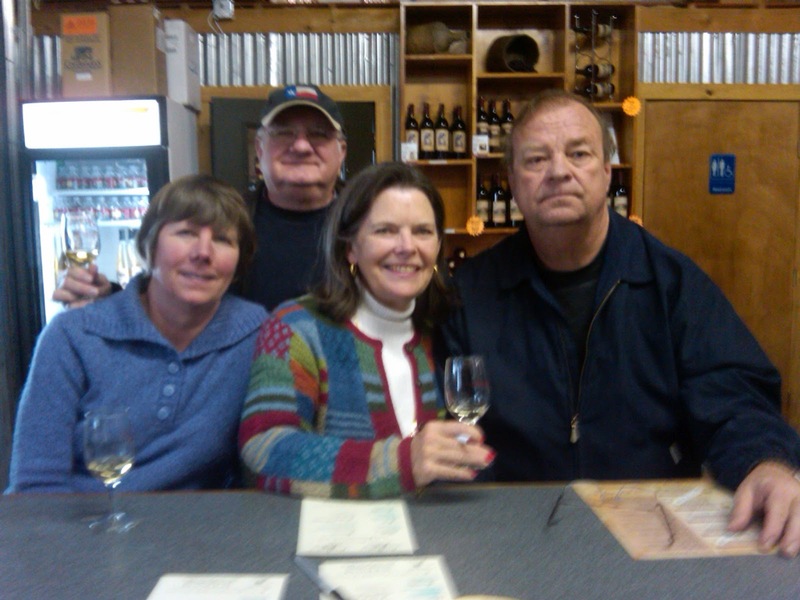 During our wine trips we have had remarkable tours of wineries. Some have been formal tours, but most have been spur of the moment tours that were really great. We met wine makers and winery owners and we have sampled a lot of wine taken straight from the stainless steel containers and wine barrels. We have also seen a lot of grapes and wineries up close and personal. When we are not visiting the wine country, Gale and I stop at every winery we can. (Our car just seems to turn into their driveways, like it has a mind of its own.) While we have visited a lot of Texas’s wineries, both good and bad…a lot bad, we have also been to wineries in states like Kansas, Missouri, Arkansas, Virginia, Georgia and North Carolina. And we go to wine tastings whenever we can, which is always good fun. We even flew once to Kansas for a wine tasting with our nephew and his wife, which makes no sense if you think about it, which we obviously didn’t. But it was fun. Along the way we have met some really great people. We also met some really bad wine snobs! And we have had some great wine and some not so great wine. But most important we have had a lot of fun learning about wine. And I hope to share that fun and what little knowledge I have gained. I will write about our trips, about wineries we visit and I will let you know about local tastings and wines we have tried. I will also throw in some food and grilling pieces. 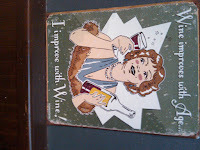 But most all I hope that my blog will help you have fun exploring wine.